Buy Premium Lamb Colostrum from Osmonds. Easily mixed powder product containing Pure Dried EU Colostrum. 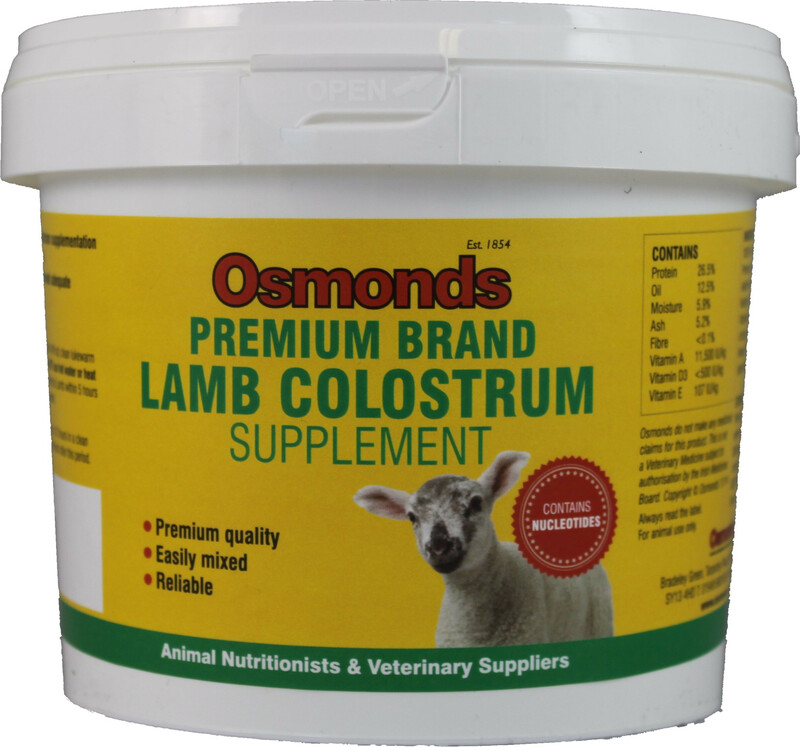 A Colostrum supplement complimentary feed, for the new born lamb that is either deprived of, or is deficient in colostrum from its mother. A complete feed for new born lambs. 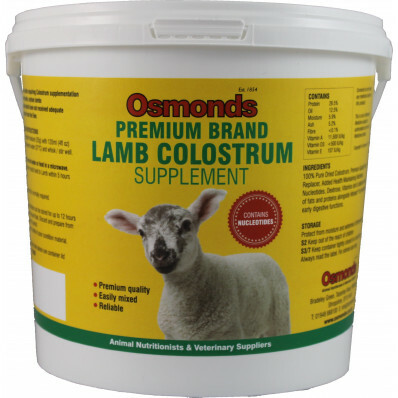 Contains 100% pure dried EU colostrum. 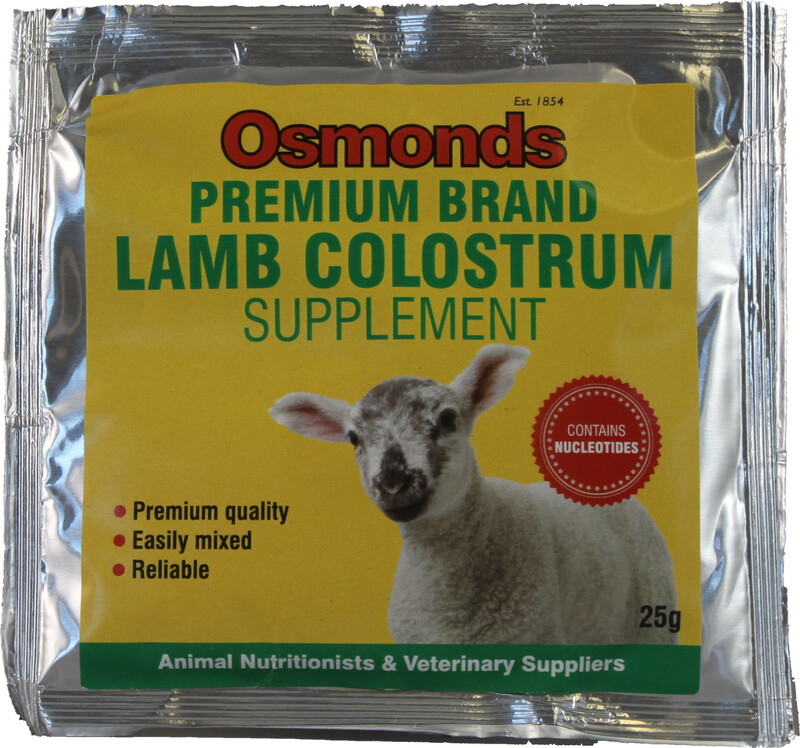 Designed to boost the lambs' immune system. Helps maintain a high health status in the lamb. Reliable, fast and easy to use, low oil content for easy mixing. Mimics the lambs' mothers' colostrum. Energy comes from Glucose, Dextrose and Lactose, easy to absorb, readily available giving an instant energy boost. Contains Vetoxan Probiotic to enhance the digestive system. Nucleotides included giving the lambs the best start in life. Mix 25g (1 heaped measure) of Lamb Colostrum with 120ml clean lukewarm water (37°C) then whisk/stir well. Do not use hot water or heat in a microwave. For optimum results feed to the Lamb within 5 hours of birth, only one feed is normally required.